No Smoking Day 2014 continued…! 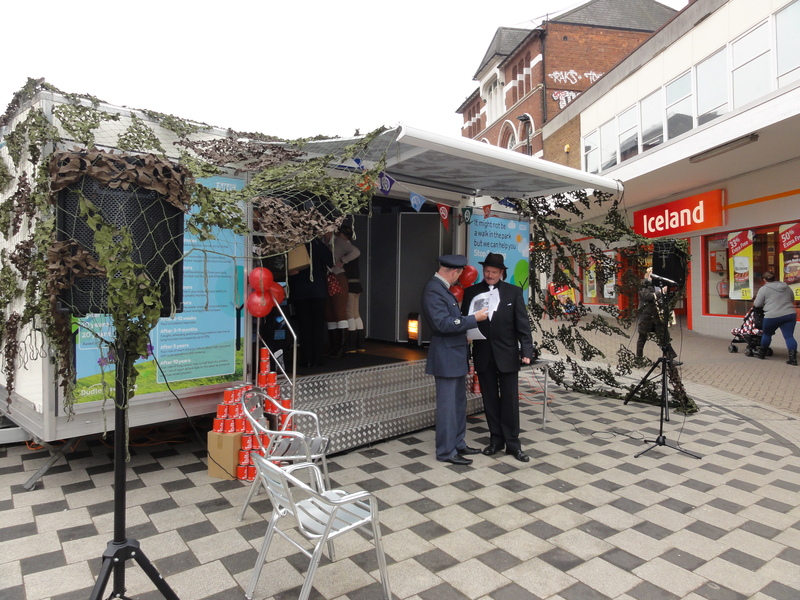 The Dudley Stop Smoking service has really gone to town in Halesowen today, with staff dressed in 1940s costume, period music and they have even put camouflage nets over the trailer! They could win the “best-dressed staff on a trailer award” this year, if we ever get around to awarding it. For further information on Stop Smoking trailers, call Lindsey on 01543 255452. This entry was posted on Wednesday, March 12th, 2014 at 4:27 pm	and is filed under Uncategorized. You can follow any responses to this entry through the RSS 2.0 feed.You can leave a response, or trackback from your own site.